Just some quick calculations which I'm sure can be challenged, but they served to blow a hole right through the article.? If you're saying that the article isn't worth your time to defend, I'm o.k. with that too!? Yeah, I would agree that it's not totally honest. It's just that the figures presented by the article, which was posted by epaulo, stood out to me as bogus.? The article:? "A?National Observer?analysis shows that, as of Jan. 25, a list of projects being funded under the program for which contribution agreements have been signed showed $6,502,000 had been given out for natural gas refuelling, compared to $7,967,000 for EV charging and hydrogen refueling. This would mean that the government has spent 44.9 per cent of the total program funding on natural gas stations." You were talking about Nato's air force, not Nato's air force during the Iraq war. And besides, your quoting of numbers such as '141M tons of CO2'? or '25M cars' is meaningless if not stated in relation to CO2 releases in total for a 4 year period or 25M cars in comparison to the number of cars on US roads. It's just your cheap and tawdry politics again. That's not to say that 25M cars?isn't a significant number. Just to say that in the proper context of the conversation, it's meaningless, and Nato's air force for today's air pollution is a drop in the bucket.? I'm saying that you are barking at the totally wrong reason for opposing Nato. And now, if you want to pull in your horns you can talk to me about the 'right' reason for why Nato shouldn't exist.? But here's?an olive branch for you Kropotkin! What facts did I dismiss?? Oh, and kropotkin, how about coming back to the discussion on 'socially responsible capitalism', which you ran away from? I still think the term is exactly right for the NDP, and it doesn't provide a weapon for the assholes who are continually calling us commies, socialists, pinkos, and other. You should know kropotkin, the righitsts hate the term!? Speaking of carbon dioxide emissions, the brand new Sierra Club report is warning that besides causing immense damage to our forests and health, the extremely large wildfires of 2017 and 2018 in BC were "three times?higher than emissions from all other sources combined in 2016". Furthermore, these? "Forest emissions are not counted and that's the reason why they are largely ignored. 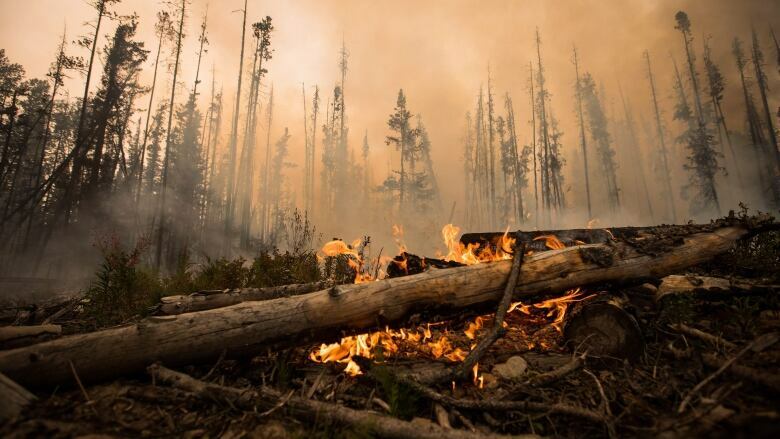 "?The wildfires are changing BC forests from a carbon sink into a net emitter. The provincial government therefore needs to develop a plan "to reduce forest carbon emissions, including banning slash burning, protecting old-growth forests(which store the most carbon dioxide) and ramping up B.C. 's?เกมออนไลน์FireSmart program,?which outlines best practices for reducing?wildfire risk to properties in vulnerable communities." ?Such a plan will not come cheaply, but the alternative in terms of human and forest health, monetary costs, and the general environment is even more expensive.? "Uncounted forest emissions" represent a major hole in B.C. 's climate plan and show the need for a provincial forest emissions-reduction strategy,?according to a new report by an environmental group. Climate-warming carbon emissions released from B.C. forests in both 2017 and 2018 were?more than three times higher than emissions from all other sources combined in 2016, the?report from Sierra Club B.C.?estimates. 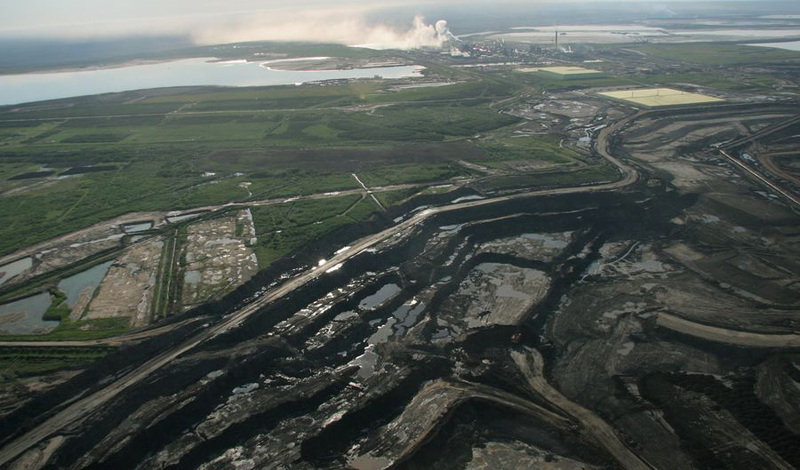 ?The vast majority of the estimated 237 million?tonnes?emitted by B.C. 's forests resulted from?another?record-breaking?wildfire season that burned more than?13,000 square kilometres?of land.? In 2016, the province pegged its?carbon footprint from non-forestry sources at?61.3 million?tonnes. A major challenge,?Wieting?says, is that forestry emissions are not counted toward?the province's official?greenhouse gas inventory. ? "There's no action in place to reduce these emissions," said Wieting. "Forest emissions are not counted and that's the reason why they are largely ignored." The group is calling on the province to produce an annual report measuring emissions from forests and to take steps to reduce forest carbon emissions, including banning slash burning, protecting old-growth forests and ramping up B.C. 's?FireSmart program,?which outlines best practices for reducing?wildfire risk to properties in vulnerable communities. Stephen Sheppard, a forestry professor at the University of British Columbia, said?there?has to be a "multi-pronged approach" involving industry and government?to?reduce the impact of forest fires on carbon emissions —?and it's going to be expensive.? "The budgets that we've had in the past to manage fires, which really meant suppressing fires, is probably very inadequate now,"?said Sheppard.? The B.C. government has spent at least?$842?million?responding to wildfires since 2017. After all the promises from the Trudeau Liberals that the construction of the Trans Mountain pipeline will meet the highest environmental standards, we are finding out the truth. 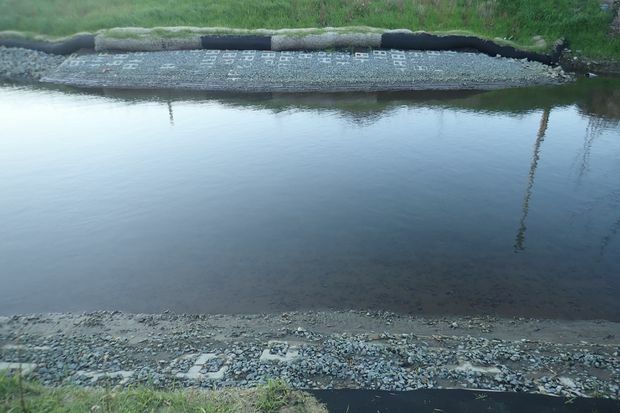 Examples of pipeline work in Burnaby and Chilliwack have demonstrated the damage the pipeline is doing to BC waterways and fish, as well as?the commercial salmon industry. Since this is occurring in communities, where what has happened is readily visible to the public, one has to wonder what is happening in the backwoods where people generally are not likely to see the damage.? On Friday of last week the UN Security Counsel debate on how climate change is already impacting peace and security around the world and will increasingly do so in the future, even though the issue has been politically controversial. However, the evidence of its effects on the security of societies is growing all the time.? “The relationship between climate-related risks and conflict is complex and often intersects with political, social, economic and demographic factors,” said?Rosemary DiCarlo, the Under-Secretary-General for Political and Peacebuilding Affairs in her opening remarks. ?“The risks associated with climate-related disasters do not represent a scenario of some distant future. They are already a reality for millions of people around the globe – and they are not going away,” she stressed. A large swath of Canada, from the Prairies to Nova Scotia, is under a deep freeze. Temperatures in Winnipeg are dipping down to –36 C Monday night with a windchill of almost –50 C. In Windsor, which is typically the warmest spot in Ontario, the overnight temperature will dip to –27 C with?a windchill of –40 C.? Even in parts of the U.S. Midwest,?temperatures are expected to have a wind chill of –50 C.
A recent Intergovernmental Panel on Climate Change report found the Arctic is warming?two to three times?faster than anywhere else on Earth. This temperature difference upsets the stability of the?jet stream. ?And that brings the cold Arctic air southward where it can linger, a result that meteorologists call a blocking pattern.? Not only do the climate change models predicted the extreme cold temperatures they also predicted the extreme temperature changes that will accompany them, both of which conditions will cause major societal problems. To be fair this theory needs further data to confirm it but so far it appears to explain what is happening in this area well.? As we showed in our recent?Science article, current generation climate models don't resolve some of the key processes involved in the jet stream dynamics behind many types of weather extremes. Chris Tollefson reviews three books below?that examine why Canada's political system is still paralyzed when it comes to dealing with climate ?change despite the Trudeau Liberals promises to deal decisively with the crisis in the 2015 election.? Donald Gutstein’s latest book,?The Big Stall, riffs off many of the same themes. A retired communications professor at Simon Fraser University, Gutstein offers a rollicking and opinionated diatribe about corporate power in an era of climate change rendered Chomsky-style through a blizzard of facts and information. More of a Shadbolt than a Bateman, Gutstein’s painting of how powerful business interests and their propagandists have succeeded in blocking action on climate change is loud, proud and defiantly left-wing. Gutstein, like Taft, clearly relishes exposing the backroom deals and clandestine relationships, both in Canada and the U.S., that help explain the complex politics of climate change, a politics that all three authors would agree has become heavily corporate-dominated. The Trudeau Liberal federal government gap between their 2030 Paris Agreement emissions target and actual emissions continues to grow wider and wider with each new year. AND THAT'S THE GOOD NEWS! It hopes it solve the problem by playing games with the numbers.? Back in 2016, the Canadian government projected that all current and proposed policies (plus emissions credits they hope to be able to count) would get Canada to?within 44 million tonnes of CO2? (MtCO2) of the 2030 target. ?The next year the projected "emissions gap" widened to?66 MtCO2. ?And now, the government's newest projections show the gap has widened even further. They now project a gap of 78 MtCO2. ?Unfortunately, that's the good news. ?According to the new report, Canada's actual emissions are projected to be even higher than that: 115 MtCO2 above their 2030 Paris target, or less than halfway to the target.? The gap between Canada's proposed climate efforts and its 2030 Paris Agreement target has grown even wider in the last year. The federal government is now predicting a gap larger than all emissions from the province of Quebec. ?The numbers come from the latest?climate pollution projections?report,"Canada's Greenhouse Gas and Air Pollutant Emissions Projections 2018." Each year, the government tallies up its projections, and each year the picture has gotten worse. However, instead of reducing emissions, the oil & gas sector is on track to increase its climate pollution by 23 per cent. That's creating an emissions gap from just this one sector of 84 MtCO2. And as we've seen above, that's bigger than the nation's entire gap. ?If the government continues on the current path of allowing the oil & gas sector to emit 84 MtCO2 more than its share of the nation's target, then they will need to choose other parts of the economy to make large additional cuts to make up for it. That's known as "burden shifting" and in this case the burden is the size of all the emissions from Canada’s second most populous province. ?That’s the elephant in the room when it comes to Canada's climate goals. How large will governments allow the oil & gas emissions burden to grow? And the follow-up question is: who will government pick to shoulder that burden?? The British medical magazine has a new report out that climate change is interacting with undernutrition and obesity to create a global pandemic.? The Lancet report is blunt about why we do so little, citing “the power of vested interests by commercial actors whose engagement in policy often constitutes a conflict of interest that is at odds with the public good and planetary health.”? Among its recommendations, the report calls for “double-duty” actions, things like promoting public transit, which results in both increased physical activity and reduced greenhouse gas emissions. ?Similarly, promoting plant-based diets and reducing meat consumption will help reduce obesity and heart disease and cut methane production from livestock. Cutting subsidies to fossil fuel and the food industries would allow subsidies to sustainable energy and transportation as well as local food-production systems. Health Canada’s recently updated?food guide?is largely in step with the Lancet report. But the meat and processed-food industries are?fighting?the changes, just as the fossil fuel industry has fought action on climate change. ?